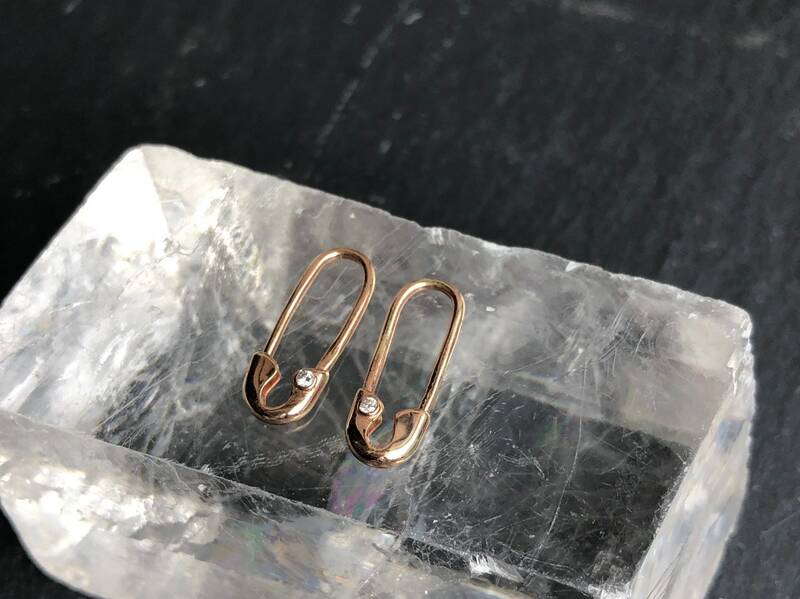 Same as the original Gold Diamond Safety Pin Earrings but smaller. 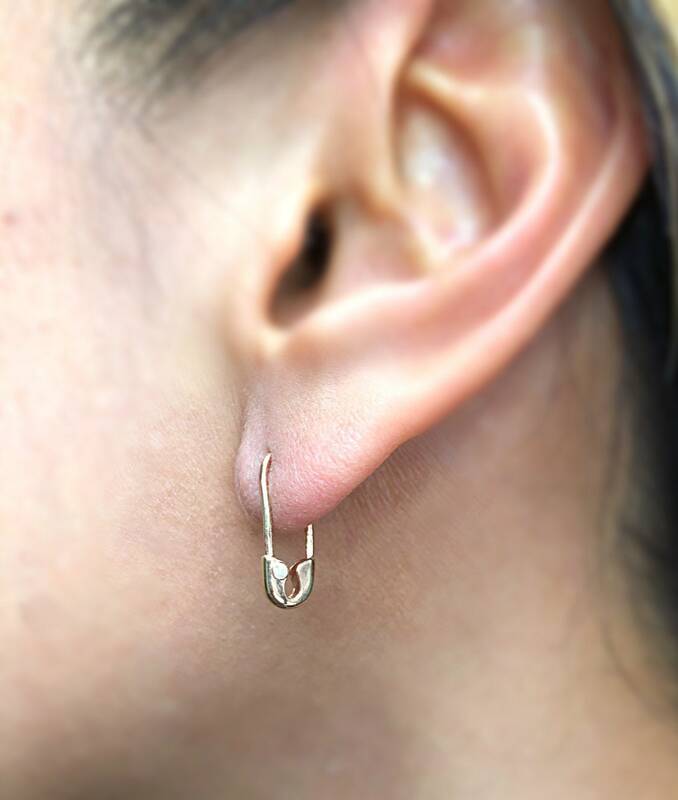 Part of the Hope and Unity Collection, the safety pin has become widely recognized as a symbol of solidarity and unity. 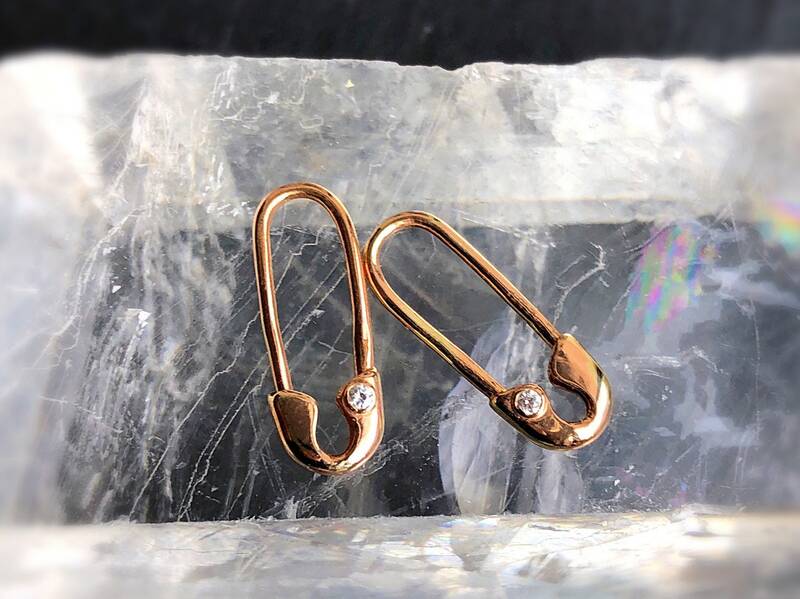 This working solid 14 Karat Rose Gold and diamond Safety Pin earring features a single sparkly white diamond accent measuring 1.4mm round and weighs .01 ctw. 16mm drop and 6mm wide. 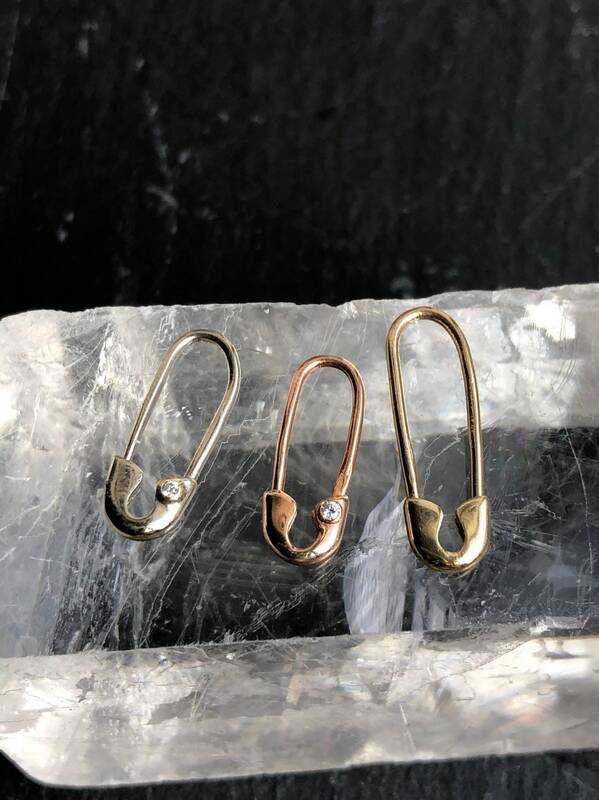 Each one is unique and handmade in NYC. Comes as single. Please choose left or right ear.